"A Jewish colony" dated sometime between 1898 and 1946. 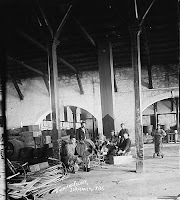 Where and when was the picture taken? 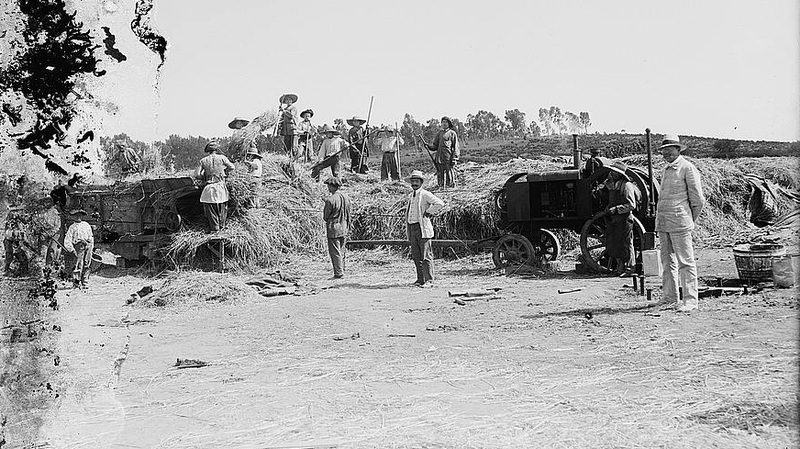 ﻿﻿﻿Using landmarks and comparing the horse and buggy picture to other photographs, we can identify the unnamed "Jewish Colony" and suggest a time and vicinity for the harvesting pictures. The photo of the horse and buggy on the top right was taken at the Mikve Yisrael Agricultural School, established in 1870, near what later became Tel Aviv. 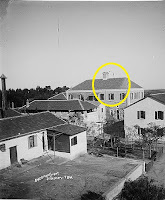 Note the building with the central chimney which appears in other photographs below. 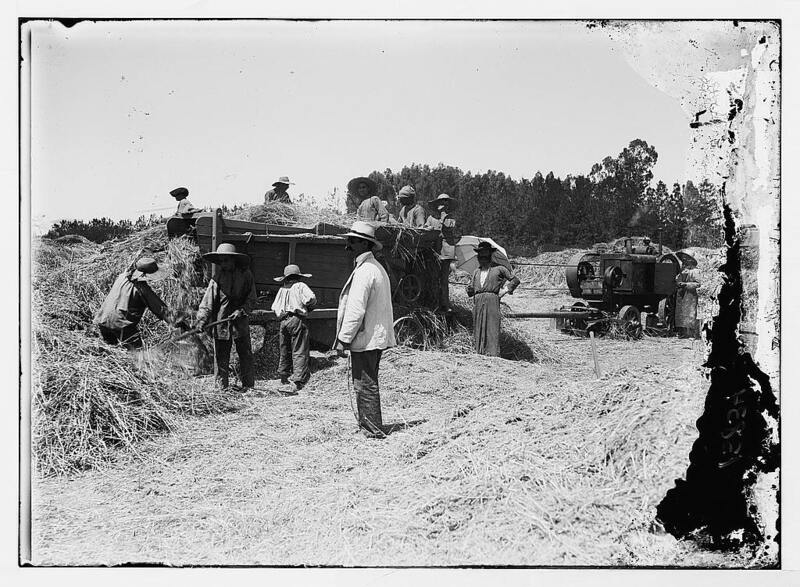 The "Jewish colony harvesting" pictures are located in adjacent files to the horse and buggy picture. 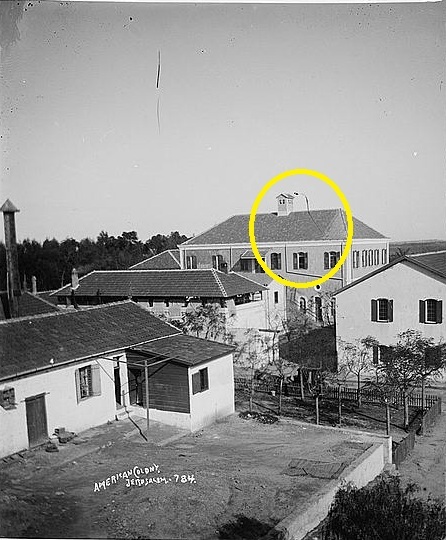 The American Colony photographers took dozens of pictures of the "Jewish colonies and settlements," no doubt reflecting their Christian "end-of-days" theology which supported the return of Jews to the Holy Land. 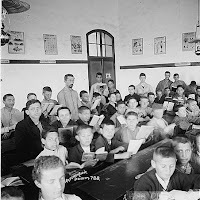 The founder of the American Colony's photographic department, Elijah Meyers, a Jew from India who converted to Christianity, produced a photographic documentary of the Jewish communities already in 1897. ﻿﻿﻿In 1867, young residents of Jerusalem requested assistance from Jews in Europe in order to build outside the Old City walls. "We're not requesting charity," they wrote, "but work. Provide us the land, put in our hands the tools and send us the people who will teach us to work the land." 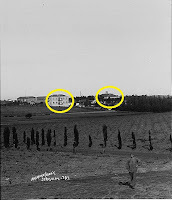 ﻿﻿The Mikve Yisrael Agricultural School was the result. 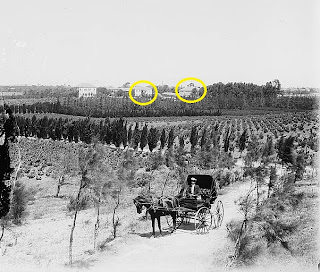 ﻿﻿ Pictured here (left) is the Mikve Yisrael wine cellar, built in 1883. 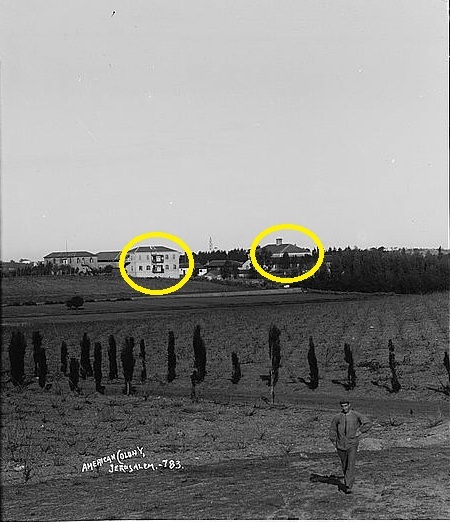 The school was the site of the historic 1898 meeting between Theodore Herzl and the German Emperor, Wilhelm II. 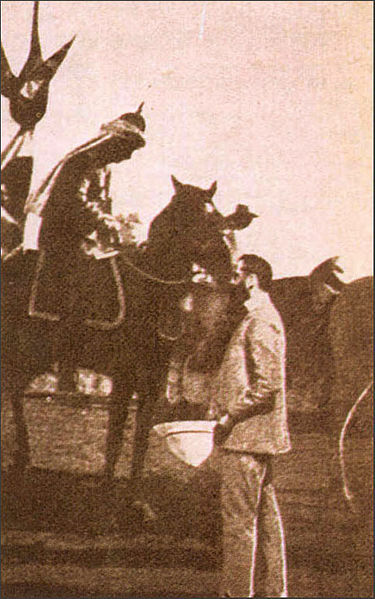 Herzl requested that the Emperor intercede with his ally, the Ottoman Sultan, to establish a Jewish state.